The NMSOH Web site is lovingly dedicated to Gary James March. 10/03/02 - The Supreme Court of the State of New Mexico has affirmed the convictions of Shawn Paul Loyd. We can finally get our sons belongings that are being held by the state. 04/17/00 - The trial begins. 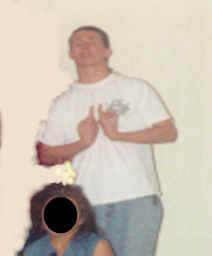 03/06/00 - Another arraignment was held on Sean Loyd. He is currently being held on a $500,000.00 cash only bond at BCDC. The trial is set to begin with jury selection on 04/17/00 at 8:00 a.m. before Judge Albert S. "Pat" Murdoch at the Second Judicial District Court. 03/01/00 - Shawn Loyd was indicted by another Grand Jury for the murder of Gary and is being held on 500000.00 cash only bond. 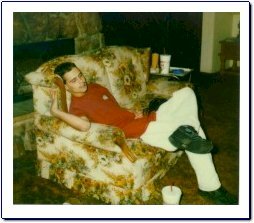 02/28/00 Due to a legal technicality - State of NM vs Ulibarri - the indictment against Shawn Loyd was dismissed along with thousands of others. Shawn Paul Loyd has been paroled from the custody of the state corrections department in June of 1999. He is currently in the custody of BCDC, being held on a $500,000 cash bond and is awaiting trial. No date for the trial has been set yet. December 24, 1998, Arraignment of accused murderer Shawn Paul Loyd. Shawn Paul Loyd pleaded - Not Guilty. Judge Woody Smith retained a $500,000.00 cash only bond. On November 30th 1998 the Grand Jury indicted the prime suspect Shawn Paul Loyd a.k.a. Shyboy with an open count of MURDER as well as other charges in the murder of our sweet, loved one, Gary James March. The arraignment is scheduled for December 24th at 8:30 a.m. We want to thank all those who have helped in this effort. We will never give up the fight to bring all those involved with the brutal, senseless, murder of Gary to Justice! Shawn Loyd was incarcerated in a New Mexico prison on a violent felony conviction, he had a projected release of early 1999. This crime was unrelated to the murder of Gary James March. He was released to the custody of BCDC to await trial for murder of Gary March. 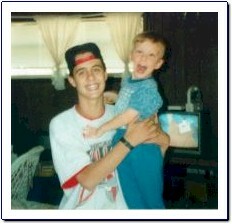 Our beloved son Gary was brutally shot to death on August 20th, 1995. Our life as it was is gone forever, because without Gary in our lives we can barely function. Our hopes, dreams, and what we thought of as reality, are gone. Gary was kindhearted and gentle. He would never have hurt a soul. Several of the people he thought were his friends decided he did not deserve to live. Somehow these cowards justified to themselves that they had the right to end his life and destroy the lives of those who loved him. It is incomprehensible to us that anyone could hate our son so much that they would harm him much less slaughter him like he was nothing to this world. We are waiting patiently for the justice system to do what it will to Gary's murderers. We know whatever happens it will not be enough to repay what they took from this world. The death penalty is the only penalty that would be justice for Gary's murder and give us some resolution while we try to live the rest of our lives without him. We can not put into words how much we miss Gary. He was not perfect, at age 18, but he was getting there. He would have grown up, we're sure, to make some lucky girl happy. He would have been a wonderful uncle and father because he loved children, especially babies. He was just finding he had a real knack for computers and we think he would have done well if he choose to go into some computer profession. He loved his little sister Christina. They were only 1 year apart and lot's of people thought they were twins. Even though Christina acted like Gary's second mom sometimes, he would try to act tough when the boys started taking an interest in his little sister. Christina will miss giving her brother advice and asking his opinion when she couldn't talk to anyone else. That is something she will have to live without for the rest of her life. Gary always treated his friends well and trusted them with out question. We don't know what we could have done to prevent his murder and it makes us suffer even more to think somehow we could have prevented it. But, the what ifs don't really mean anything when we put it in perspective. We did not cause Gary's murder, Gary did not cause it, society did not cause it... The murderer chose to pull the trigger and murder Gary. Gary deserved to live!. The murderer now deserves to die! A few words from Gary's friends. As I sit here at night after a hard day of work, I lay in bed and something's not right. I sit with no peace in my mind, and I reminisce about my Dawg. A homie that made a spot in this world for a short time. He will stay in my heart for a lifetime. May Gary and the SK click live forever. I'll never forget you just because you're deceased. for all the joy and laughter you use to give. and I can't understand why you had to die. but I stop by your site to let you know that I care. and can't wait to see my little dawg's face again. The people that killed you will die, this I swear. When I think of you I can't help but shed tears. Gary was someone who loved animals and would do anything for his friends. He was always enjoyable to be around and loved life very much. He lives now in his family and true friends hearts, and speaks through our memories of him. Gary, there is no way to measure how much you meant to everyone and your time with us is valued greatly. Gary, you will never be forgotten! The following picture was taken by the Weekly Alibi for a cover story they were doing on Murder, which was printed the week of the one year anniversary of Gary's murder. We had been hanging reward posters for the last year when it came to the attention of writer Patrick Sullivan. He asked if he could feature Gary in his story about murder. We declined to be interviewed because of the ongoing investigation but said he could still feature Gary in his article. This is the ditch where Gary was murdered. At the site Gary's grandfather, Arnold March, put up a beautiful wooden cross with Gary's full name on it. The Virgin Mary Statue was left by one of Gary's friends and we placed the flowers there. We feel the article was well written and if you would like to read it just click on the Weekly Alibi Cover picture below.